I know I’m a bit late to the party with my Galaxy Tab 7 Plus review, but I think it deserves it especially with the latest Ice Cream Sandwich Android update for it. Awhile ago my brother gave me his old HTC HD2. If you don’t know, it was a Windows phone. Cool and all but it got me curious about Android. I made it dual boot and installed Gingerbread Android on SD card. It was slow but I happened to like it more and more. Finally rooted the phone and successfully flashed it with a custom Android ROM. It was fast, it was simple and highly customisable. The battery wouldn’t usually last long, but it was balanced by all the functions I could pull out of the device. As a phone, however, it sucked since it often froze on incoming call, but I never wanted it to be a phone anyway, not with the horrible standby and talk time. And with 2GB mobile data allowance per month it quickly became my mobile internet radio too. Unfortunately HTC HD2 had not been known for its good design. First the power button failed then the micro USB port (charging), which made me realise how much I needed another Android device and soon. I have to admit I had a weakness for 7 inch screens – not to big, not too small – just right. So after a quick search on the Internet I had Samsung Galaxy Tab 7 Plus on one hand and Samsung Galaxy Tab 2 (7 inch) on the other, with the latter being only slightly newer than the former. Spec comparison revealed that in fact the older model was much more superior to the newer model hardware wise, not to mention it was a bit cheaper too. The only advantage the newer model had and I personally believe it was a total gimmick to boost its sale was Android 4 (Ice Cream Sandwich). 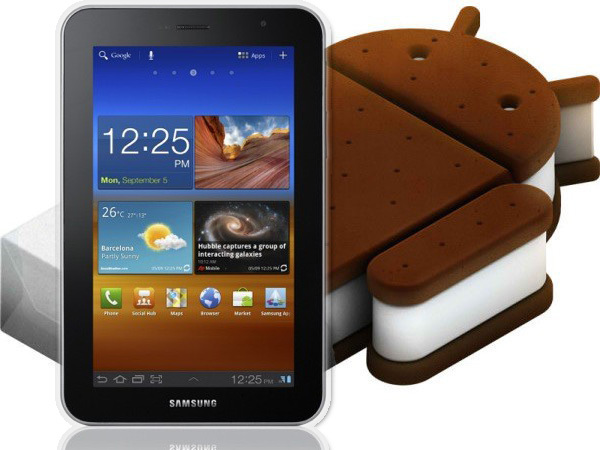 Galaxy Tab 7 Plus is sold with Android 3.2 (Honey Comb). You might think well there is Gingerbread, a previous incarnation of Android, then there is Honey Comb which is an improved version, then there is Ice Cream Sandwich, which is even more improved. 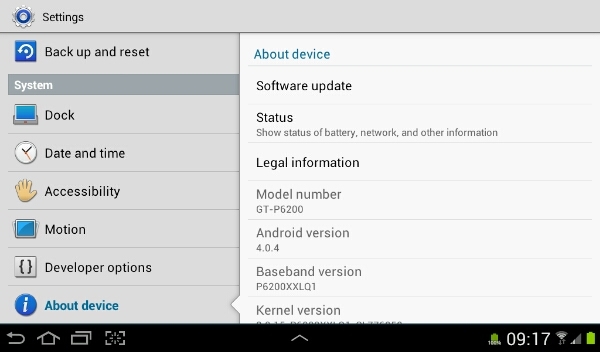 So having 3.2 didn’t sound too bad considering Samsung had also promised to give the older Tab Android 4 soon. So I went for Tab 7 Plus rather than Tab 2 (7 inch). Oh the horror of Honey Comb! I hated it. Don’t get me wrong, it is not unusable but after having custom Gingerbread ROM on HTC, Honey Comb felt like a half-arsed product. The most annoying feature it had was a default 25% or so brightness of the stock web browser. Just imagine this…you have your screen set with full brightness, then an application wants to pull a page from the Internet, or you want to look something up. BAM, the screen dims a lot. Ok no probs, open task bar, adjust brightness. Close browser. Open it, BAM the screen is back to 25%. Whats more, there is nothing you can do, there is no setting to switch this behaviour off or tweak it. 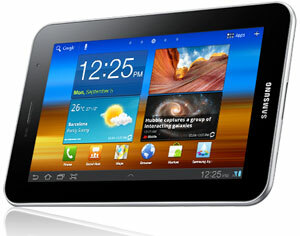 You cannot uninstall any of the Samsung bloatware either without rooting the tablet first. Add to it occasional screen lag. Finally, earlier this month Samsung started releasing ICS for the range of their tables including 7 Plus. The first firmware they released for it was Open Austrian ROM, which could be found at samfirmware.com Even though the firmware is compatible with my tablet, it is not a UK firmware so I didn’t get any notification of the update available neither from within the tab nor from Samsung KieS. My patience ran out and I risked it. Downloaded Odin 3.04 flashing program, followed very simple instructions and it all went smoothie smooth. And what a difference it makes! My tab is now faster and smoother. The stock web browser is also fast and it does not dim the screen any more. I still cannot remove the bloatware, but I can now disable it and this is good enough. I now also have more customisation options to further tweak the interface to my liking. Was it worth it after all the pain of waiting for ICS? Definitely. Few impressions about Samsung as this is my first Samsung product. Not happy with how slow they are with firmware upgrades and their product range is very confusing. But I’m impressed with my little tablet. Last night I shoved a massive 6GB HD .mkv file in it and it played it without a hitch! Also some of the design decisions they come up with are brilliant. For example, the charger. My charger came with Euro plug. The fork is detachable, remove it and what is this? This looks familiar. Ah yes, it is your standard power cable coupling format like they use in variety of external power adaptors. On top you get extra length extension. Cool, right? So why then Samsung falls flat on its face in other trivial design decisions? Why for example Official Samsung Galaxy Tab 7 Plus Case does not have a hole for the back camera so that you don’t have to take it out of the case every time you want to take a picture? 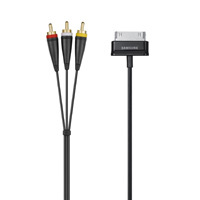 Or why the official TV out cable has no USB plug so that you don’t have to run it off the battery every time you connect it to a TV? Could this be the reason why Samsung is not quite Apple in this respect? I’m pretty pleased with my purchase, not initially but after the firmware update. The 16GB version with 3G was under £300 and I also purchased class 10 (very fast) 32GB Samsung SD card for £25. In conclusion I think I also need to mention that mobile network operators do not treat this tablet as a phone even though it has all the functions including proximity sensor to switch off touchscreen if you bring it up to your ear. So if you want to put 3G on it you will need to look at Mobile Broadband SIM option or you won’t be able to use mobile data from your phone SIM. Yeah man it is definitely worth it. I’m using my tab every day, practically not letting it out of my hands If not for ICS I’d be one unhappy bunny.